Hello guys, we meet again. 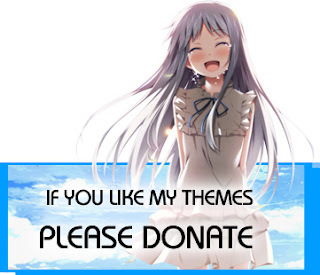 I want to share my new theme. 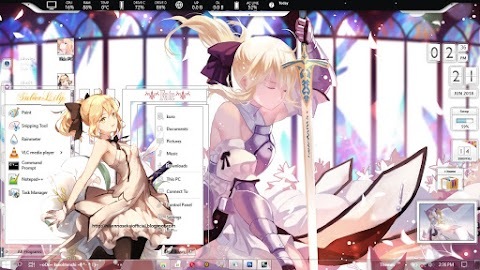 This time i create a theme for windows 8 and 8.1. 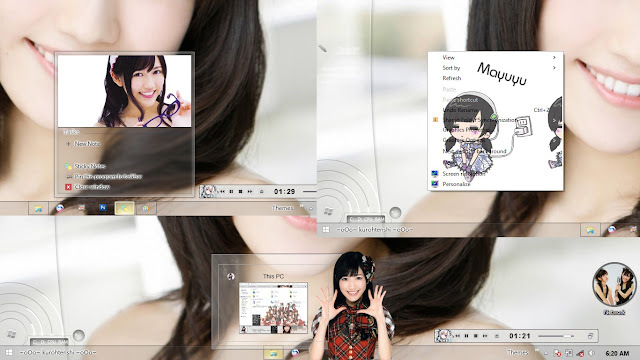 This theme is the win 8/8.1 version of my Mayu theme, with a few changes(improvement). 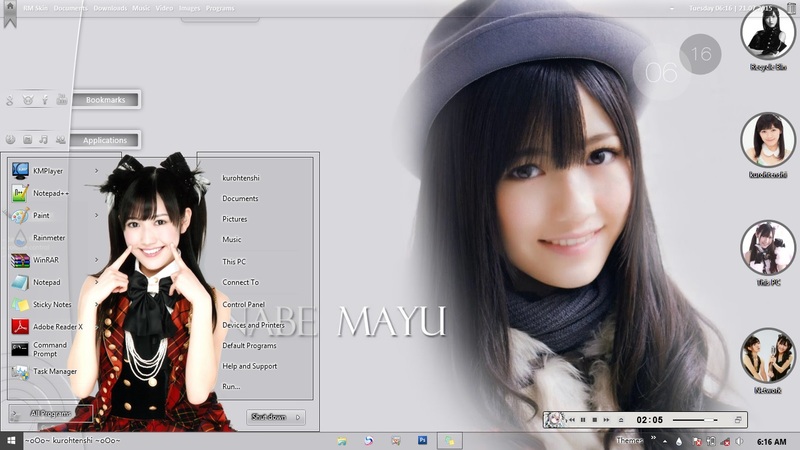 Mayu Watanabe (渡辺 麻友 Watanabe Mayu, born March 26, 1994 in Saitama Prefecture) is a member of the Japanese idol girl group AKB48, Team B. She has released five solo singles. Watanabe auditioned for AKB48's 3rd generation and was placed in the newly formed Team B. 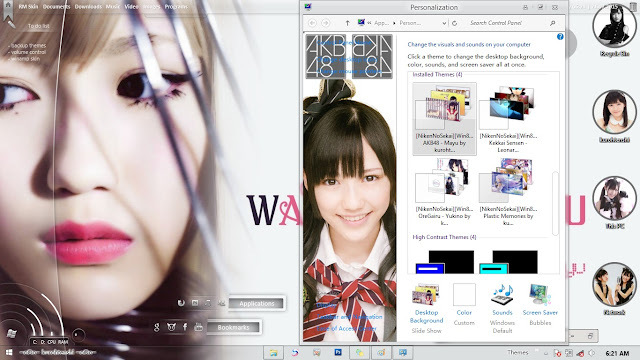 Her first appearance on an AKB48 single title track was on "Bingo!". 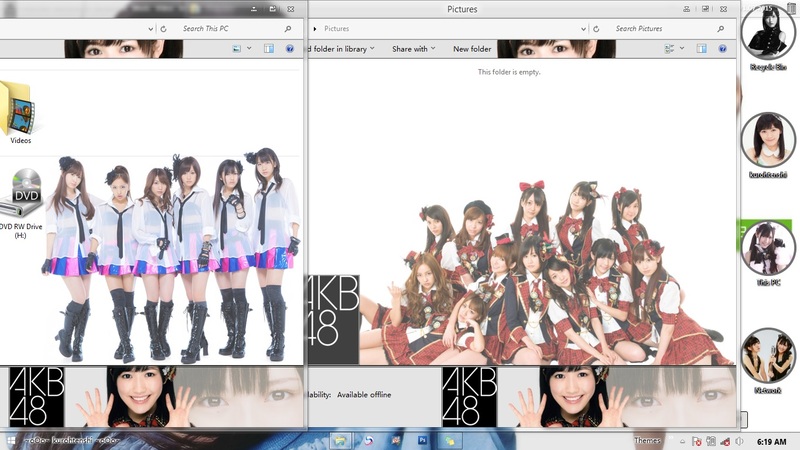 With the exception of singles whose lineups were determined by rock-paper-scissors tournaments, she has appeared on all the A-sides for the group's singles since then.